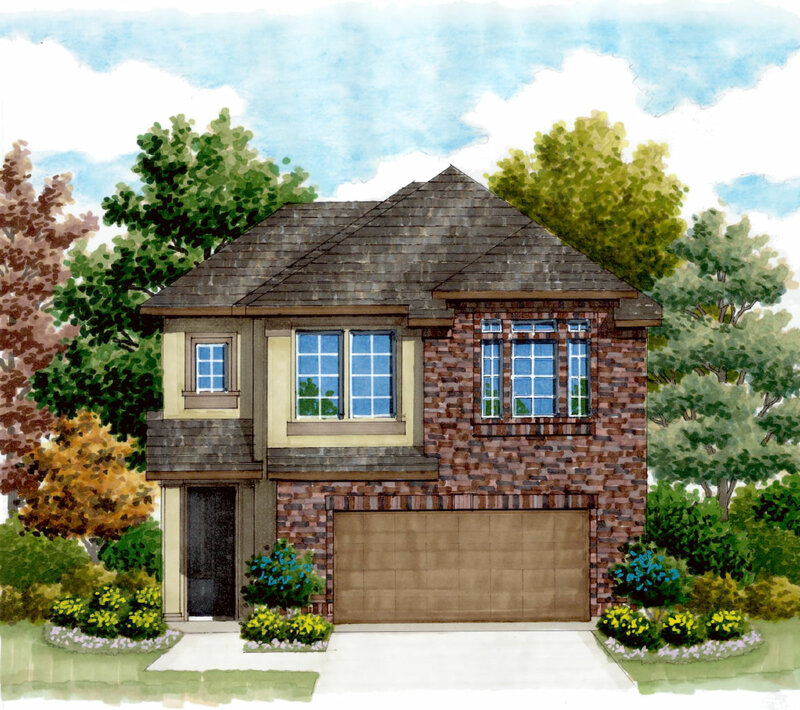 The 1966 Plan is a beautifully designed 2 story, 3 bedroom, 2.5 bath plan. The open concept plan offers a large family room with adjoining breakfast area with kitchen and large center island. Upstairs you will find a large loft with an optional tech/study area. The master suite offers a large master bedroom, bath with double vanities and a huge master closet. Caliza Springs is a 9.9 acre community nestled in the heart of the Encino Park Master Plan. Caliza Springs is a new 9.9 acre community nestled in the heart of the Encino Park Master Plan. Conveniently located between Highway 281 and Bulverde Road allows for easy access to the Village at Stone Oak Shopping Center, Stone Ridge Shopping Center, HEB Plus! grocery store, Alamo Drafthouse movie Theater, and many more dining, shopping and entertainment options. Less than a mile from the outstanding NEISD schools of Encino Park Elementary, Frank Tejeda Middle School and a short 2.5 mile drive to Lady Bird Johnson High School. The community features 38 residential lots with 15 of the lots backing up to the 4 acres of open space. The Caliza Springs dog park will give fido approximately 5,000 square feet of fenced park to run freely off leash, a shaded sitting area, auto fill water bowl and a waste station. The schools for Caliza Springs are Encino Park Elementary, Frank Tejeda Middle School, and Claudia Taylor (Lady Bird) Johnson High School.